Welcome to Hudson Valley Pet Store! If you're an avid dog lover looking for tasty chews or great toys, you've come to the right place! Hudson Valley Pet Store is proud to be the #1 online retailer of the entire line of Poochie® treats, including Chicken on a Bone & Soft-N-Chewie Rawhide. So when it's snack time or play time, find out for yourself why Hudson Valley Pet Store has the best treats for your best friend! 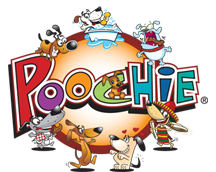 Hudson Valley Pet Store carries the entire line of Poochie Products. Our site features unique items and gift boxes for your own dog(s) or the new dog your friends just got. In viewing hvPet.com you will find our improved site with many new items for your dog(s) and gifts for friends & relatives dogs. Our "NEW" site offers quality products that will make a positive difference in your dogs taste and you will quickly see significant improvements in their teeth and gums!